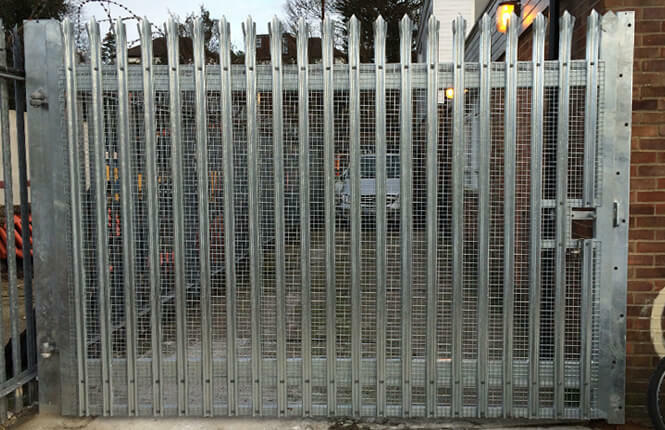 Here at RSG Security, we offer a huge range of different palisade gates, fencing & barriers and our skilled fabricators are able to offer any customisation and design to suit your requirement. 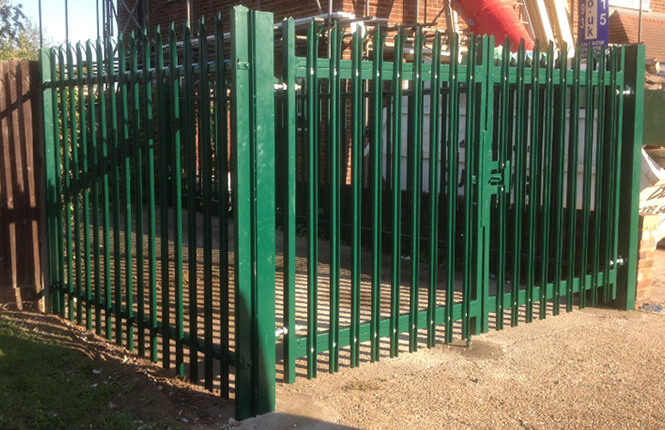 Our security gates are available in a range of standard heights and specifications to match your fencing style and our palisade entrance gates are available in hinged and sliding styles. 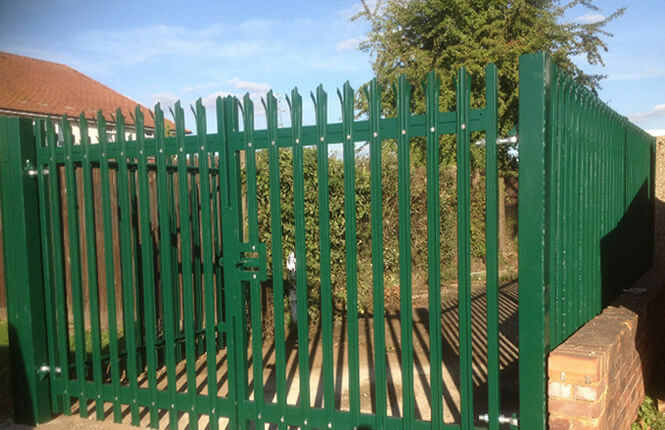 Designing, manufacturing and installing high security palisade gates is very much a specialty. 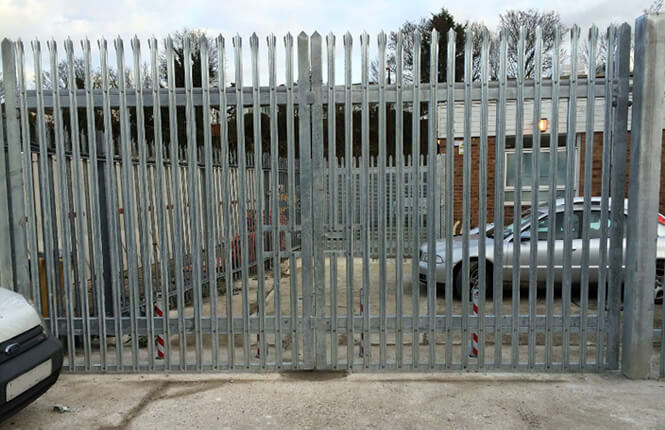 We provide the complete palisade gates and fencing system, on a supply & installation basis. 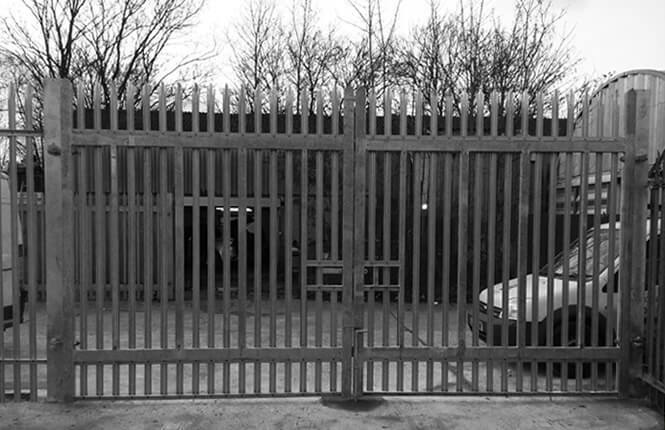 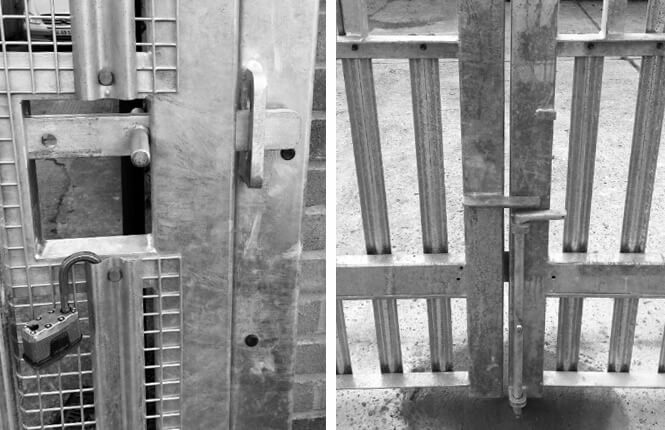 Manufactured in our factory in UK, our security gates are fabricated to the highest standards to cope with the British climate. 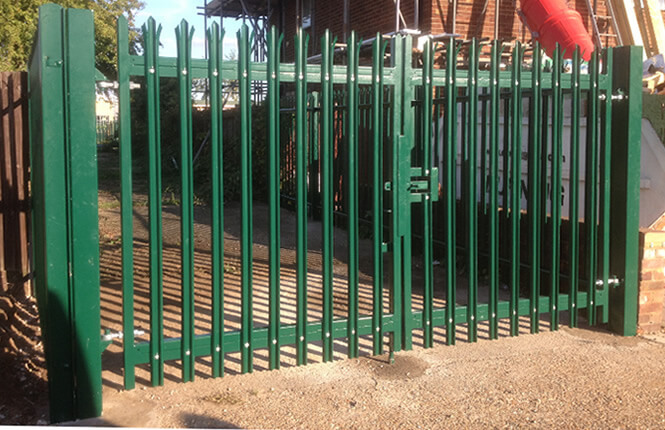 Available in a range of powder coated colours and extras where required.